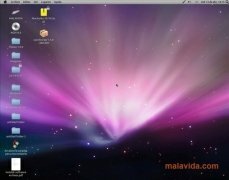 The design of the interface of the latest Mac operating systems has been a full revolution when it comes to conceiving the aspect of any computer application. Most people were stunned by the minimalism and the simplicity that the developers at Apple have been capable of providing their product, and those that don't have one of these computers felt a little bit disappointed. Linux users will no longer belong to this group thanks to Macbuntu. This open source software provides the interface of Linux with the aspect and appearance of the Mac OS X operating system. Transform the visual style of your distribution into a copy of the one used by Apple computers. Even though it was originally developed for Ubuntu, it can be used on any other operating system based on Debian/GTK. If you like the appearance of the Mac operating system, but you are reluctant to stop using Linux only for this reason, you can download Macbuntu for free, a lightweight application to provide Mac's aspect to your Linux OS. This software has been developed for Ubuntu, but will work on any Debian/GTK distribution.